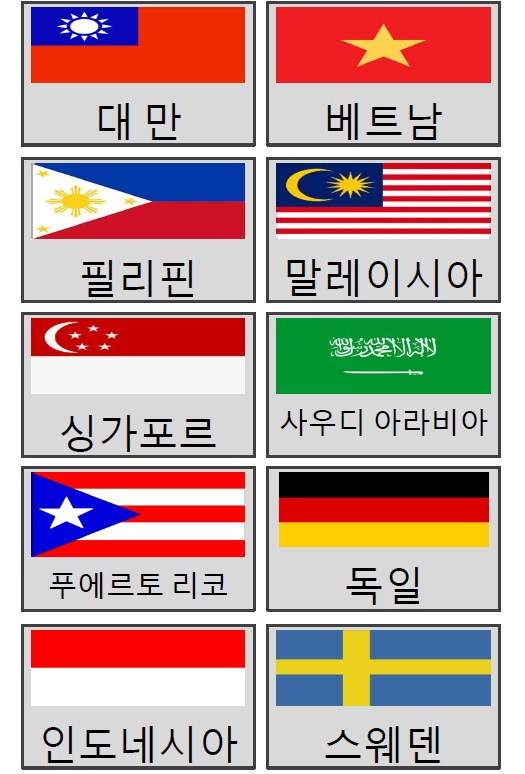 This is part three of our Countries in Korean Flash Card series. We have chosen the following countries either due to visits to freshkorean.com, nationally of current students and random choice. For our third set the following 10 countries have been chosen; Ireland, Turkey, Hong Kong, Costa Rica, Russia, Brazil, Poland, Mexico, Romania and Italy. Thank you for your time today and if you have any requests, questions or comments please feel free to let us know. This is part two of our Countries in Korean Flash Card series. We have chosen the following countries either due to visits to freshkorean.com, nationally of current students and random choice. For our second set the following 10 countries have been chosen; Taiwan, Vietnam, Philippines, Malaysia, Singapore, Saudi Arabia, Puerto Rico, Germany, Indonesia and Sweden. 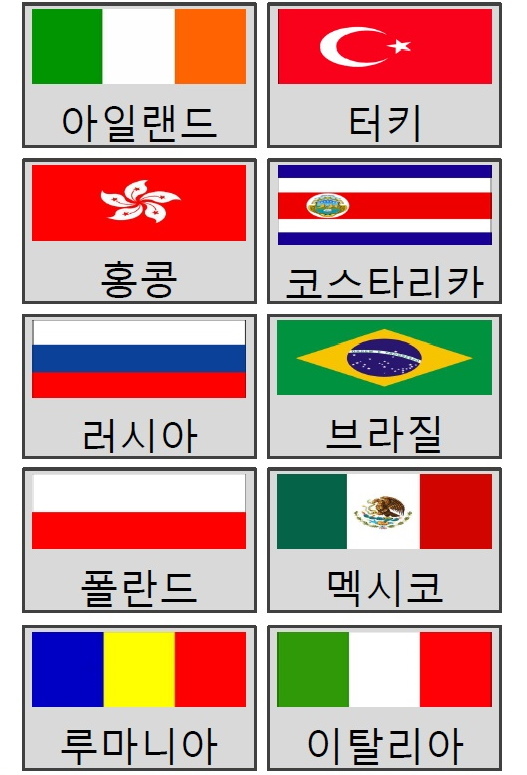 Here is part two of the countries in Korean flash card set in both JPEG and PDF formats.